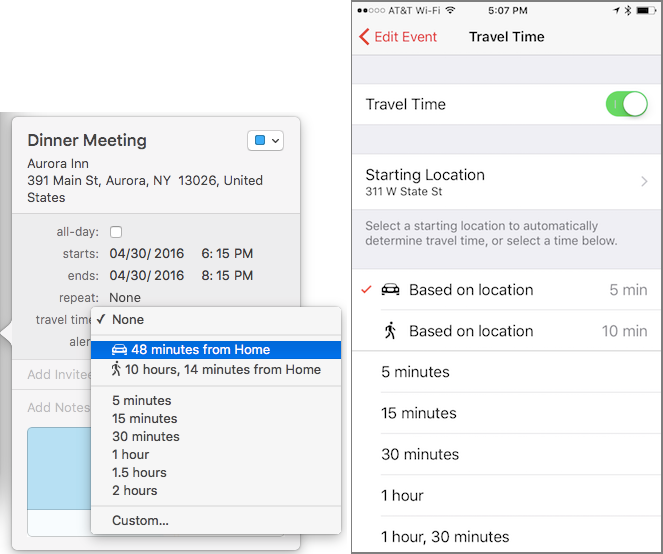 First, if you’re working on an iOS device, make sure Calendar can access your location by going to Settings > Privacy > Location Services > Calendar and selecting While Using the App. Next, you need to make sure the Time to Leave option is turned on. On the Mac, choose Calendar > Preferences > Alerts and select the Time to Leave checkbox. 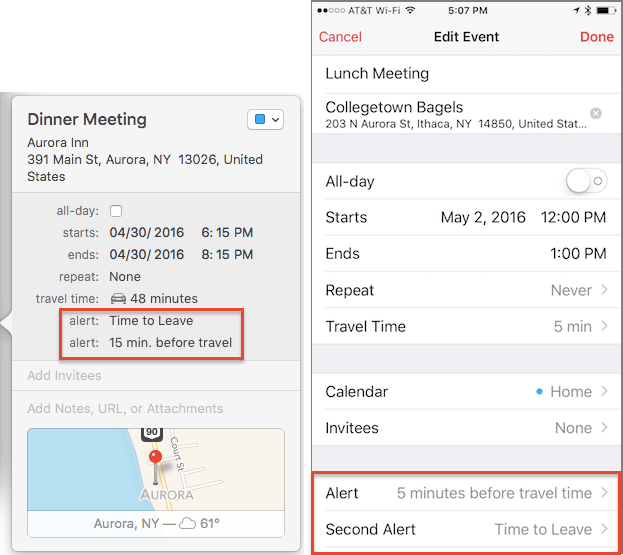 In iOS, go to Settings > Calendar > Default Alert Times and enable Time to Leave. 1. Create a new event, and enter a title and the start time. Travel time doesn’t work with all-day events. 2. In the Location field, start typing your destination’s name or address. You must be able to reach the destination within 3 hours to receive alerts about when to leave. 3. Regardless, after typing a partial name or address, you mustpick one of Calendar’s suggestions so it knows the exact location of your destination. In iOS, tap Travel Time and in the Travel Time screen, enable the Travel Time switch. A starting location may be picked for you, based on your current location and time of day, or based on a previous event, but you can always tap Starting Location and pick a different spot. 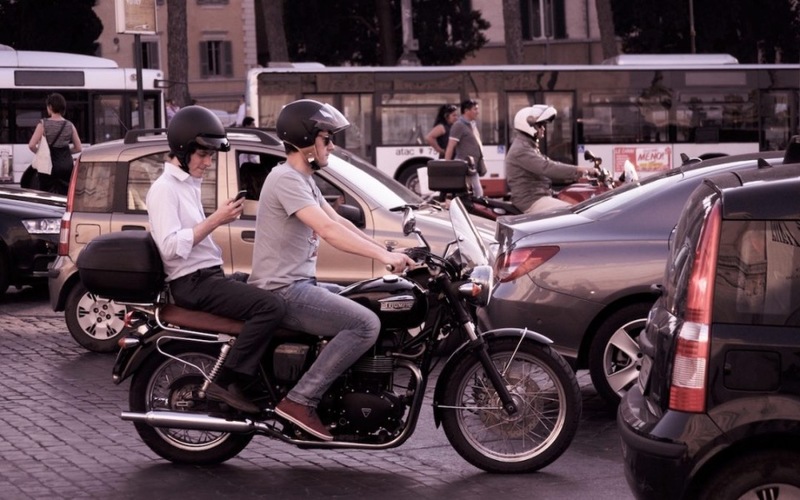 Then tap a travel time based on location for walking, driving, or transit, which will reflect both your starting and ending locations, plus the traffic conditions. 5. Now it’s time to back out of the Travel Time screen and set alerts based on the travel time, which may take traffic conditions into account. By default, setting travel time creates an alert for Time to Leave, although you may wish to set a second alert that gives you a few minutes to get ready beforehand. That’s it, but with one important bonus. 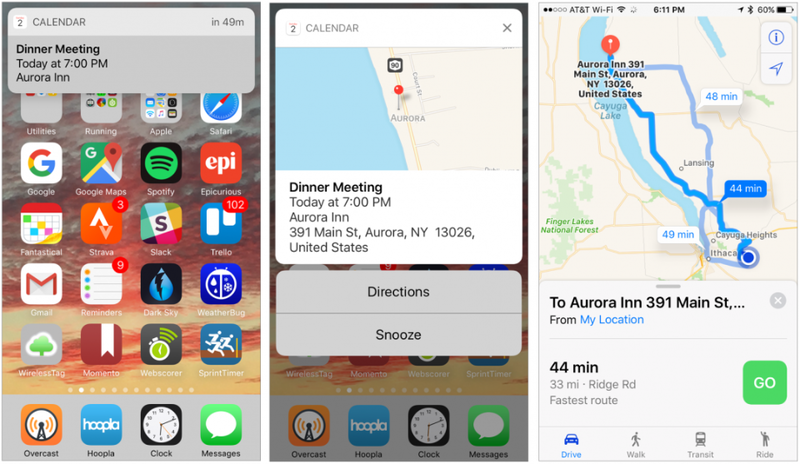 When you see the alert on an iPhone 6s or later, you can 3D Touch the alert to open a preview that has a link for directions; tap Directions to view the travel directions in the Maps app. If your iPhone doesn’t support 3D Touch, tap the alert to open the event in Calendar, after which you can tap the map preview to open the location in Maps. Once you get the hang of setting up the events, getting alerts that are sensitive to travel time and include directions is like living in the future!